Every ribeye is a steak, but not all steaks are ribeyes. A similar rule applies to Kobe and Wagyu beef: Every Kobe steak is Wagyu, but not all Wagyu beef is Kobe. Kobe, in short, is a variety of Wagyu. Wagyu, loosely translated, means “Japanese cattle” (“Wa-” meaning Japanese or Japanese-style, and “-gyu” meaning cow or cattle). So “Wagyu” refers to any cattle that is bred in Japan or the Japanese-style. Kobe beef is comprised of a very particular strain of Wagyu called Tajima-Gyu that is raised to strict standards in the prefecture of Hyogo. (Hyogo’s capital city is Kobe, thus the name). So what sets Wagyu apart from other kinds of cattle? And what makes Kobe beef so special that it regularly commands the highest per-pound prices on the market? The difference comes down to selection, care, feeding, and the obsessive, extraordinary efforts of Wagyu breeders. The roots of Wagyu’s superiority can be traced to the late 1800s. During the 1880s, several breeds of European cattle were introduced to Japan and crossbred with native Japanese breeds. The four strains of cattle that resulted dominate the Japanese beef trade to this day. Japanese Black: Originally raised as work cattle, Japanese Black beef is prized for its intensive marbling. Japanese Brown: A leaner, healthier breed of cattle, known for its light, mild taste. Japanese Shorthorn: While also lean, Japanese Shorthorn is rich in inosinic and glutamic acid, highly prized for the savory flavor they give beef. Japanese Polled: Similar to Brown and Shorthorn in leanness, Japanese Polled is known for a gamier texture and rich, meaty taste. Over 90% of all Wagyu are Japanese Black strains, so when someone says “Wagyu,” they are usually referring to Japanese Black cattle. In developing Wagyu cattle, breeders took extraordinary care. Special feeds were created out of forage, grasses, and rice straw, then supplemented with corn, barley, soybean, wheat bran, and in some cases, even beer or sake. It is sometimes said that herders would massage their cattle to alleviate muscle tension caused by cramped spaces (though many people consider this only a myth). As a result of these breeding methods combined with longer periods for fattening, Wagyu cattle have an unparalleled level of marbling. Wagyu marbling is also better tasting. Wagyu fat melts at a lower temperature than any other cattle’s, resulting in a rich, buttery flavor unseen in other strains of beef. This fat is also unsaturated and high in Omega-3 and Omega-6 fatty acids, meaning not only is Wagyu marbling more delicious, it’s also more healthy. Genuine Wagyu beef can be difficult to find in the U.S. Check out these beautifully marbled Kobe-style Wagyu steaks you can get shipped to your door. There are several strains of Japanese Black cattle, including the highly prized Tajima-Gyu strain. The most sought after regional varieties of Wagyu all come from Tajima-Gyu cattle, including Matsusaka, Omi, and – you guessed it – Kobe beef. Kobe beef is the crème de la crème – it is the most sought after and most expensive beef in the world, with single portions often selling for more than $200. Why are Kobe beef prices so high? Because Kobe beef exemplifies everything that makes Wagyu better. Kobe beef is considered the most abundantly marbled in the world, brimming with the creamiest, most decadent, most flavorful streaks of fat a steak can have. Bullock (steer) or virgin cow. Tajima-Gyu born within Hyogo Prefecture. Fed on a farm within Hyogo Prefecture. Meat processed within Hyogo Prefecture. Marbling rating (BMS) of 6 or higher on a 12 point scale. Meat quality rating of 4 or higher on a 5 point scale. An overall weight not exceeding 470 kg. Because of these stringent standards, only 3,000 head of cattle qualify as authentic Kobe cattle each year. In recent years, Wagyu cattle have been exported from Japan to countries like Australia and America. In these countries, such cattle are referred to as “Domestic Wagyu,” and are raised under controlled breeding programs, ensuring true Wagyu quality. In America, 90% of authentic Domestic Wagyu rate as USDA Prime, the highest possible rating afforded to beef. Cuts from these cattle typically exceed the quality of other Prime steaks. American Wagyu beef cuts include boneless strips, filet mignon, flat iron, and even burgers. 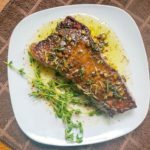 These luxurious steaks will definitely impress your friends and family at your next barbecue! Unfortunately, while “Kobe” beef is trademarked in Japan, that trademark does not extend outside the country’s borders. Many shady restaurants, grocery stores, and wholesalers will attempt to sell non-authentic Wagyu beef and steaks as “Kobe,” “Kobe-Style,” or “Wagyu” in order to charge higher prices. If you’re thinking buying Wagyu, Kobe, or Kobe-style steaks, check out our Wagyu and Kobe Beef Buyer’s Guide to learn how to ensure your steaks are derived from authentic Wagyu breeds. Every ribeye is a steak, but not all steaks are ribeyes. A similar rule applies to Kobe and Wagyu beef: Every Kobe steak is Wagyu, but not all Wagyu steaks are Kobe. Kobe is a variety of Wagyu. Wagyu, loosely translated, means “Japanese cattle”. Kobe beef is comprised of a highly prized strain of Wagyu called Tajima-Gyu, which are raised to strict standards in the prefecture of Hyogo. (Hyogo’s capital city is Kobe, hence the name). In developing Wagyu cattle to what it is today, breeders took extraordinary care. 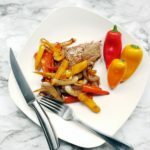 Special feeds were created out of forage, grasses, and rice straw, then supplemented with corn, barley, soybean, wheat bran, and in some cases, even beer or sake. It is sometimes said that herders would massage their cattle to alleviate muscle tension caused by cramped spaces (though many people consider this only a myth). Four strains of cattle dominate the Japanese beef trade to this day and one of them is Japanese Black cattle. Over 90% of all Wagyu are Japanese Black strains, so when someone says “Wagyu,” they are usually referring to Japanese Black cattle. Wagyu cattle have an unparalleled level of marbling due to the care they receive and the longer periods of time that are given for fattening. Wagyu marbling is also better tasting. Wagyu fat melts at a lower temperature than any other cattle’s, resulting in a rich, buttery flavor unseen in other strains of beef. The unsaturated fat is also high in Omega-3 and Omega-6 fatty acids so not only is Wagyu delicious, it’s healthy! Because Kobe beef exemplifies everything that makes Wagyu better! It is considered the most abundantly marbled beef in the world. To be labelled Kobe, cattle must meet stringent standards upon slaughter. Due to these stringent standards, only 3,000 head of cattle qualify as authentic Kobe cattle each year. In recent years, Wagyu cattle have been exported from Japan to countries such as Australia and the United States. In these countries, such cattle are referred to as “Domestic Wagyu,” and are raised under controlled breeding programs, ensuring true Wagyu quality. In the US, 90% of authentic Domestic Wagyu are rated as USDA Prime, though cuts from these cattle typically exceed the quality of other USDA Prime steaks. Unfortunately, “Kobe” beef is trademarked only in Japan and that trademark does not extend outside the country’s borders. 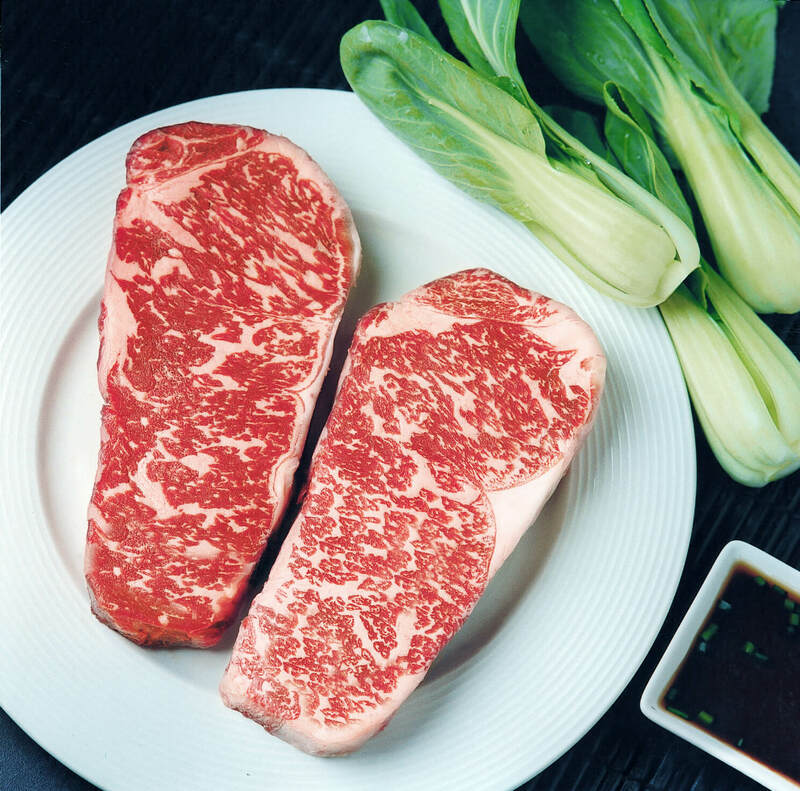 Many shady restaurants, grocery stores, and wholesalers will attempt to sell non-authentic Wagyu beef and steaks as “Kobe,” “Kobe-Style,” or “Wagyu” in order to charge higher prices. If you’re thinking about buying Wagyu, Kobe, or Kobe-style steaks, check out our Wagyu and Kobe Beef Buyer’s Guide to learn how to ensure your steaks are derived from authentic Wagyu breeds.